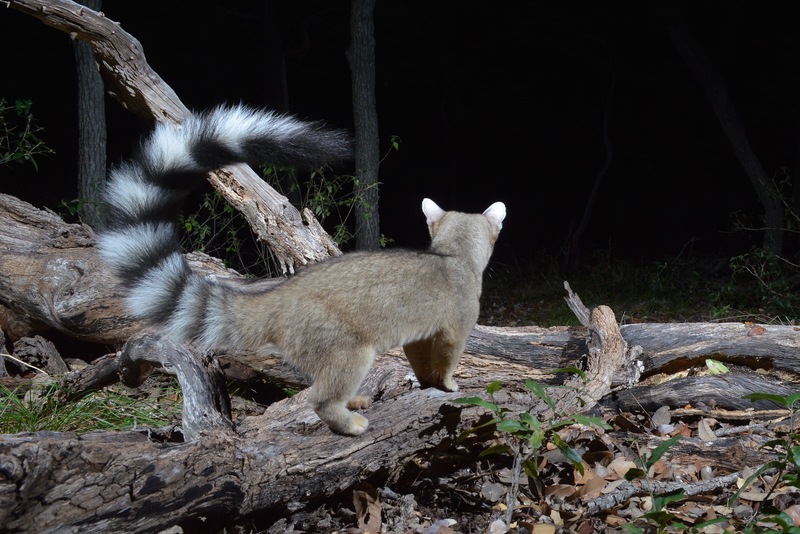 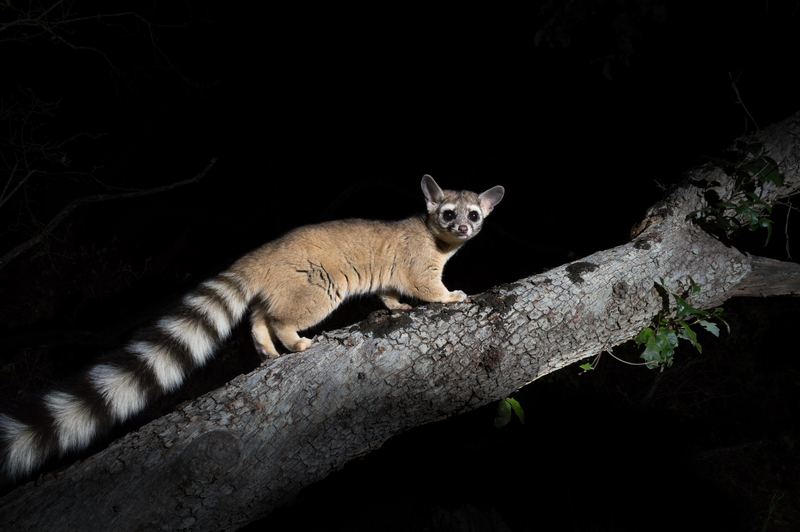 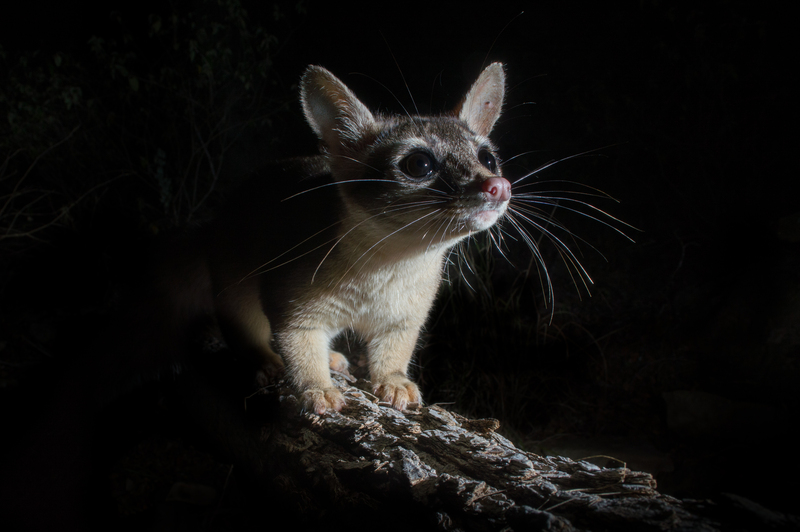 The ringtail cat, Bassariscus astutus, is related to the raccoon but carries itself more like a cross between a cat and a fox. 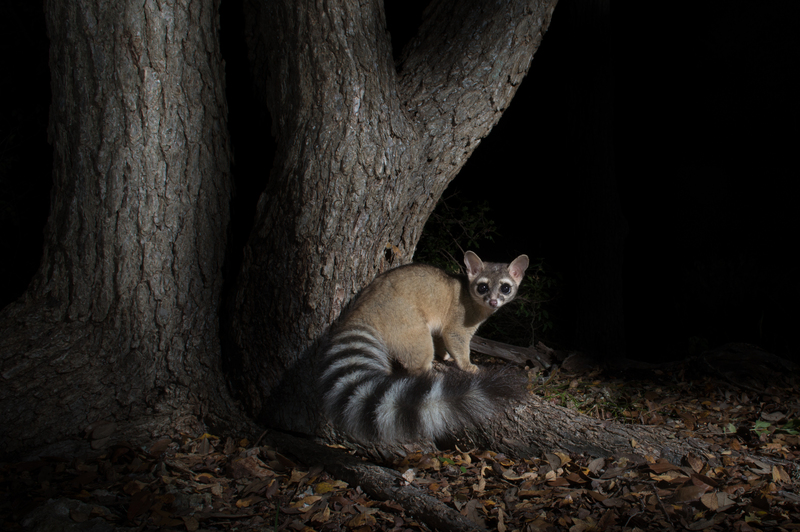 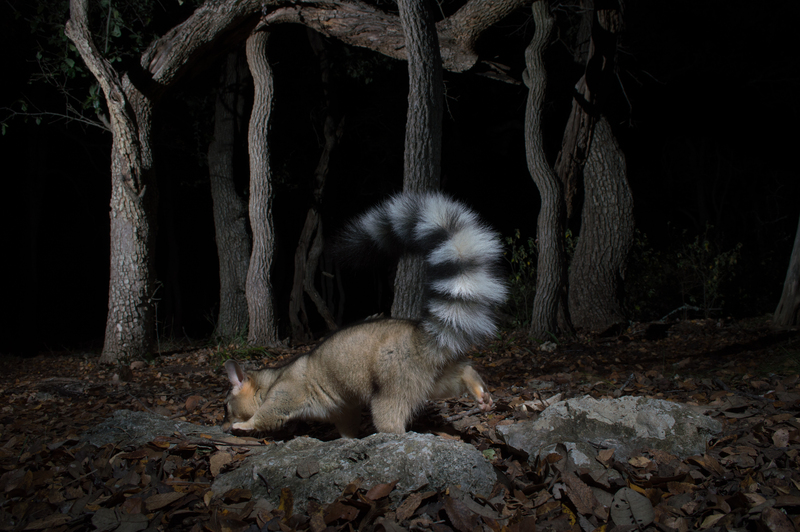 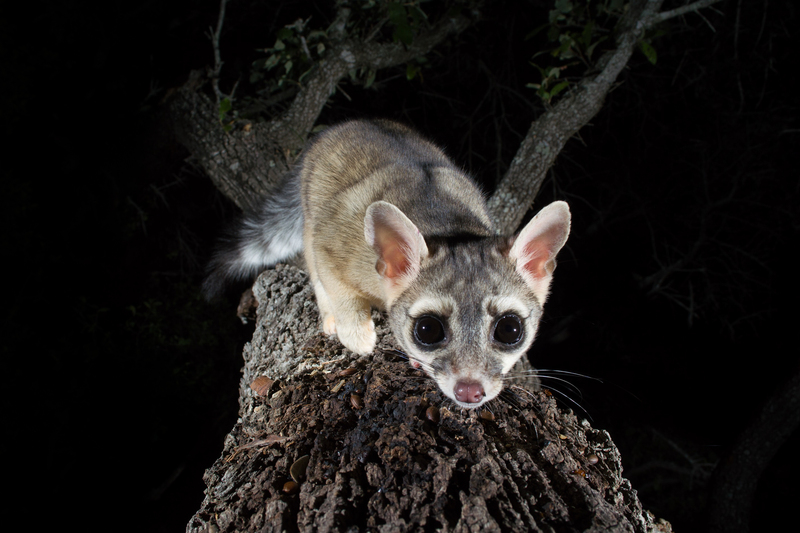 An expert climber, the ringtail is at home in the oak canopies, rocky slopes and juniper-covered hills of the Southwestern United States. 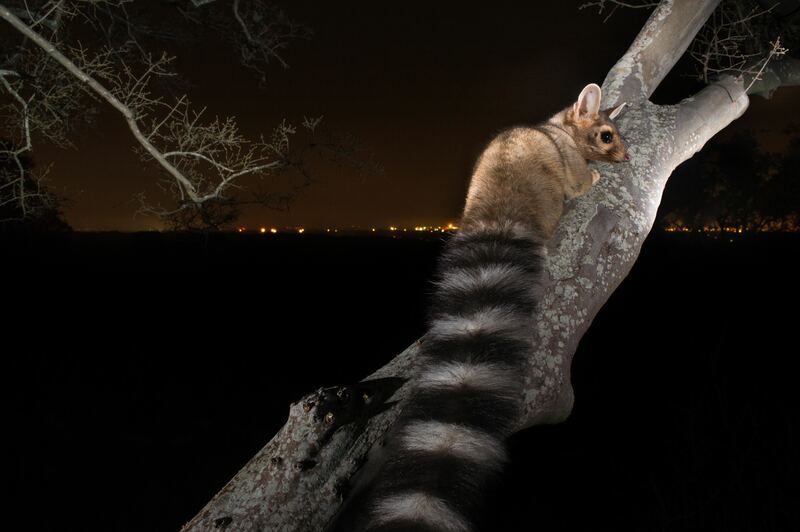 Ringtails feed on fruits, berries, insects, mammals, birds, and just about anything else they can find. 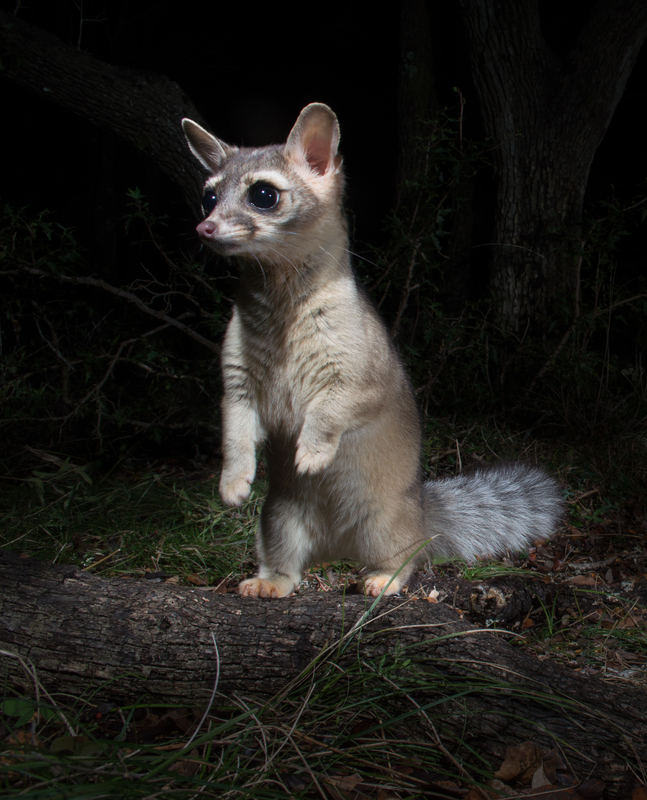 They are highly nocturnal and therefore seldom observed.